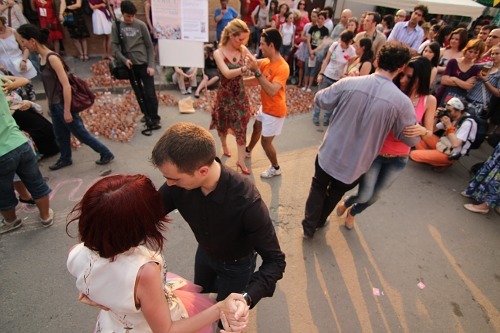 One interesting (and photogenic) thing at the “urban festival” on Mătăsari street was the people dancing tango on the street and wearing street clothes. Not many, but not very few either. ceva asemanator am vazut la budapesta…si mi-a placut enorm…ma bucur ca si la noi se poate face asa ceva… !